I know I’m a day late for Memorial Day but I have been reading several excellent pieces over the weekend and the question is still on my mind – what did these soldiers die for? Was it to guarantee that the Walton family’s income grows larger every year? Was it to assure a bright future for test publishing companies? Or to make the world safer for Rupert Murdoch to steal and use our children’s school information so that they can market more stuff no one needs? 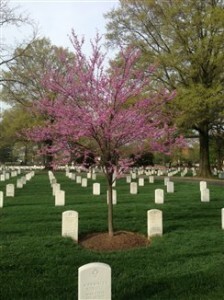 Did they die for our democracy only to have it replaced by consumerism? First, I read the excellent, extremely well-researched and quite depressing Curtis Black article in NewsTips, “AUSL turnarounds called ineffective, expensive.” Here’s just some of what Curtis laid out. AUSL schools are too expensive. AUSL schools receive over $1 million per year above their per-pupil allotment. This year CPS will pay $11 million for improvements to schools about to be taken over by AUSL. CPS gives AUSL schools an extra assistant principal and a full-time social worker, rare in CPS schools. Curtis wrote, “A couple years ago, annual spending on turnarounds was $20 million. It’s growing steadily.” Thought we had a budget crisis? AUSL schools have poor academic track records. State test results for all but one AUSL school are well below district averages. North Lawndale’s brilliant activist Valerie Leonard pointed out to Curtis that AUSL will control all of the feeder schools to Collins HS after this year’s closings, yet AUSL schools underperform neighborhood schools by 51.7% average ISAT reading for AUSL to 65.6% for neighborhood schools. That’s a turndown, not a turnaround. AUSL schools push out students they don’t want. Curtis shared stories from several people about students being told by AUSL to “find another school.” The percentage of students with disabilities has also dropped at AUSL schools, including a one-third drop at Morton, AUSL’s top scoring school. That’s called turning away, right? AUSL teachers have a “huge” turnover rate, and the percentage of African-American teachers drops significantly in many AUSL schools. Keep in mind that AUSL touts itself as a top-flight teacher training institution. Okay, I try to share the truth about these schools day in and day out. This is just one more example of the facts that prove that the corporate reform agenda is not about educating children but about power mongers grabbing more power. Don’t forget that Mayor Emanuel’s appointed school board president, David Vitale, was the Chairman of AUSL, a fact conveniently left out of his Board biography. So, does it help? Does it matter? CPS closed 50 schools despite everything. Why bother? On the positive side, Curtis’s article highlights Strategic Learning Initiatives, a local program that does work and actually builds on democratic participation. I have written about SLI a few times. I read the executive summary when it came out last fall, and that’s well worth looking at if you can’t read the full report. But the full report shows the importance of embedding democracy into education, and how democracy is destroyed when people become “passive bystanders” in education through privatization, top-down control, and narrowing of the curriculum using punishments linked to test-based accountability. The report warns that we must not fail to provide all of our children with an education in democratic participation that will equip them to be active and involved citizens. This is the gift we must pass down and not throw away. That’s why the fight against the corporate reform agenda is so important – it’s about saving democracy. On the eve of a potentially catastrophic Board of Education vote to turnaround ten more Chicago schools, the school reform research group Designs for Change has released a report showing that school turnarounds are not worth the extra expense, and that the unheralded reforms brought about under the authority of parent-led, democratically-elected local school councils have been far more effective. Conclusion 1. The study’s evidence does not justify the continuation of the School Turnaround Strategy in Chicago schools with a concentration of high-poverty students, including the establishment of more Turnaround Schools through February 2012 Chicago School Board Action. must have an equitable transparent process for allocating desperately-needed resources. that help students master demanding standards, while low-scoring schools focus on various form of test preparation. relationship between the issues facing the school and the community. to support their own mutual continued improvement. Parents ended the Piccolo Elementary School occupation at 3:30pm yesterday after Vice President of CPS Board of Education, Jesse Ruiz, met with them at Piccolo and committed the rest of the Board members to meet with the parents regarding their demands that the board reverse its decision to “Turnaround” Piccolo and Casals and engage with them meaningfully on a community proposal to promote educational excellence at the school. “Thank you to the hundreds that came out in the cold to support us and show that they care about our kids,” said Piccolo parent and Local School Council Chair Latrice Watkins. The Board of Education plans to vote on Wednesday, February 22 to hand over management to AUSL, the Academy for Urban School Leadership. 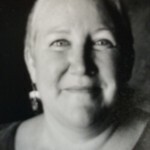 The private ‘non-profit’ firm has close political ties to City Hall <http://bit.ly/wXD4s2> . Despite receiving millions in additional funds from CPS and private entities that regular public schools do not get access to, AUSL ‘results’ are little better than – and in some cases lag behind – district averages. The protest and occupation to resist takeover by AUSL was led by a core group of committed Piccolo parents who were acting on behalf of 288 parents who had voted ‘No’ to the Turnaround of their school in January but were ignored by CPS. They are asking that CPS – the Chicago Public Schools administration – instead invest in the current school and provide current staff with the types of resources and funding that the district currently plans to funnel to AUSL. Their core appeal: Education should be about what parents want for their children – not what’s good for politically connected private school operations. Parents were also critical of the way authorities handled the occupation. They blocked a group of Piccolo parents from getting back in the building to relieve other parents and did not let food or supplies in the building; including for one diabetic parent, the right of use to her medications. That treatment has, nonetheless, left parents undeterred. “I got the strength to stay [in the school] through the pain, because I knew I was on the side of justice, and this will inspire other schools to stand up to privatization,” said Elisa Nigaglioni, parent occupier and member of the West Humboldt Park Community Action Council, who met for a year to draft a proposal for improving Piccolo, Casals and Cameron Elementary Schools. Parents and their supporters have vowed to defend their children’s school – and the public’s right to neighborhood public education – in their scheduled meetings with board members. Parents are guardedly optimistic as they wait for a call from CPS to confirm the times for the hour-long meetings on Monday and Tuesday with individual Board members to inform them of their concerns with AUSL, and have a real conversation about their community counter proposal. “It’s shameful that it had to come to this for CPS to engage meaningfully with the parents’ proposal,” said Cecile Carroll of the community group Blocks Together, which supported the parents’ occupation. Blocks Together, the parents and their allies have vowed to step up efforts to prevent what they see as a wholesale assault on accountable public education in the city. Piccolo School’s parents and community report they have occupied their school – 1040 N. Keeler.- tasking MAYOR RAHM EMANUEL to meet with them, and embrace the community/parent-led plan for Piccolo. Piccolo parents rejected CPS’ proposal to turn over their children and school to AUSL. Piccolo has a brand new Principal who’s inspired the whole school to come together around their own improvement strategies. MAYOR EMANUEL was given the Piccolo plan nearly a month ago, but so far, hasn’t responded to it or parents’ request for a meeting. FOOD, WATER & MEDICINE (some students are in the building and need medicine) ARE NOT BEING ALLOWED INTO PICCOLO SCHOOL BY THE CHICAGO POLICE. THE POLICE will not let any other Piccolo parents/school community members join the peaceful protest, to relieve parents who want their neighbors and fellow parents to take their place. 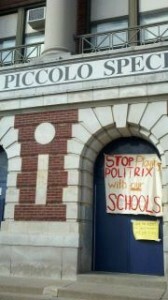 We, the Piccolo Occupation, are putting our childrens’ education first. Piccolo has failed because CPS has refused to invest in public education. The school has struggled for years but you have taken out all the programs, classes and opportunities to learn. We have had 3 principals in the last five years.We have not been able to work with anyone on a long-term basis to address the chronic disinvestment in our school. CPS and City Hall have failed us and our children. Your goal is to privatize the education system by giving it to corporations that support the mayor. We have been ignored, you have ignored our children and now you are trying to make money off of them. The Chicago Public Schools is in violation of its own remediation and probation policy. CPS is in violation of the Illinois School Code and the Illinois Civil Rights Act. CPS is in violation of Illinois Senate Bill 630. Because of this, a moratorium has been introduced in the Illinois Legislative Assembly by the School Facilities Taskforce. We are enacting our moratorium for ourselves with this sit-in do to the fact that CPS not once has laid out the necessary corrective action for Brian Piccolo or Paolo Cassals along with the Local School Councils for getting them off of probation during the last five years. The School Improvement Plans for Academic Achievement (SIPAA) at these two schools have lacked the budgetary resources to bridge the achievement gap of our student populations. Further, the SIPAAs along with the budgets at the time of their signings have not had real community input. Therefor,e these actions could very well be civil rights violations. At the recent CPS hearings, the former principal of Casals testified that not once in the last five years had CPS met with her nor with the LSC about any of the necessary corrective action for Pablo Casals to be removed off of probation. 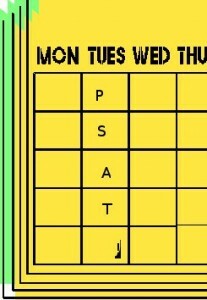 PSAT for 2-14-12: Call Brizard again! Plan to come see Monty! Waivers! 1) Parents 4 Teachers is asking you to help keep the pressure on CPS CEO Brizard about school closings and turnarounds. Call today 773-553-1500. I plan to fax my message to him at 773-553-1501. Some points to mention are below. 2) Plan to come to the forum, “Winning the Testing Battle/ Overhauling NCLB/ESEA” at UIC with FairTest’s Monty Neill tomorrow, Wednesday Feb. 15, at 6 pm. in the Cardinal Room at UIC’s Student Center East (701 S. Halsted at Polk, public parking in structure across Halsted). 3) Consider providing testimony to ISBE on the ESEA waiver request they propose to submit to the US Department of Education. They never give us much time to do this – the proposal has only been posted for a couple of days here but the public hearings are tomorrow, Wednesday, 2/15, in Schaumburg and Thursday, 2/16, in Berwyn. Details here. Written input can be submitted (see previous link for e-mail address) but it has to be in by 5 pm Friday Feb.17. The proposal itself is due Feb. 21. ISBE is supposed to give evidence to the feds that it has listened and adjusted its proposal in response to public input, so it’s not a complete shot in the dark.I have not had time to prepare anything yet but I’ve taken a quick look. True to past behavior, ISBE is pledging more standardized testing including making the 8th/9th grade EXPLORE test and 10th grade PLAN test mandatory. 4) It’s Valentine’s Day! Hug a teacher – or any other real education advocate!!! 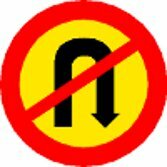 New Consortium research shows that the positive effect of turnarounds in elementary schools is very small, and there is negligible improvement in the high school turnarounds. The numbers of experienced African-American teachers like you are plummeting in the turnarounds while the numbers of inexperienced white teachers is climbing. The 10 AUSL schools also had an overall enrollment decline in special education students of 14.9% between 2006 and 2010. The district wide decline during the same time period was 3.9%. Meanwhile, turnarounds are very costly. While all reform models have been implemented with additional money, turnaround efforts require the largest investment from the district. For example, AUSL elementary schools receive $1.5 million more than their neighborhood counterparts during the first five years of turnaround and an additional $420 per pupil each year. For high schools, AUSL receives $2.4 million more than their neighborhood counterparts over the course of five years and an additional $500 per pupil each year. Aren’t you supposed to be trying to save money? 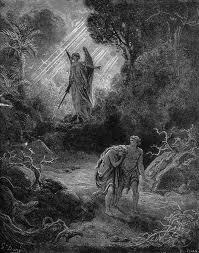 Posted in Uncategorized | Comments Off on PSAT for 2-14-12: Call Brizard again! Plan to come see Monty! Waivers! We’ve done it before, but the momentum for demanding a citywide moratorium on school closings grows stronger than ever. 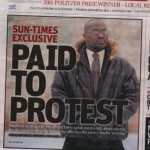 1) The front-page headline story in the Sun-Times exposing the rent-a-protesters at school closing hearings has turned up the heat on CPS and its refusal to listen to the real people in the school communities who are affected by district actions. 2) The Chicago Educational Facilities Task Force (CEFTF), a state legislative advisory body established to assure that CPS facilities decisions are fair and transparent, has done its due diligence in collecting information and analyzing the CPS process and policy. The CEFTF has determined on a near-unanimous vote to report to the Illinois General Assembly that the CPS school closing and turnaround process is out of compliance with Public Act 97-0474 (only the CPS representative voted no). Rep. Cynthia Soto, CEFTF co-chair, is preparing to introduce a bill calling for a moratorium. 3) Community-generated plans for school improvement, such as the “Bronzeville Global Achievers Village School Improvement Plan,” are beginning to resonate with the public (see this story, for example, about changes to a legislative proposal in Florida to include consideration of parent-generated school improvement plans when schools are considered for intervention). CPS under mayoral control has had 17 years to fix our schools. By working against the desires, proposals, and concerns of local stake holders, CPS has nearly decimated the school system without significantly raising achievement. It’s time for a moratorium on school closings and turnarounds. CPS must re-engage with parents and the entire school community through LSCs, PACs, and other meaningful opportunities for open dialogue, collaborative planning, and all-way accountability. Trouble in Arizona’s charter school paradise? Arizona has more charter schools than any other state in the nation, and has no charter cap. If Arne Duncan is to be believed, Arizona – with so much charter school “innovation” and “courage” – ought to be the best possible place for your child to get an education. Grade 8 NAEP Reading Rank, 42 out of 50. Arizona’s class size average is second highest in the nation, with an average of 24.2 students per class, compared to a national average of 15.3. Arizona is one of only four states in the nation that have increased class sizes over the last ten years. Oh, yes, and Every national ranking of per pupil funding consistently shows Arizona at or near the bottom of the 50 states. My mom, who keeps an eye out on Arizona education issues for me, just pointed me to this eye-opening article splashed across the pages of yesterday’s Arizona Republic. It describes a new era of accountability for charters which may be the beginning of trouble in this charter school paradise. Over the past two years, state regulators have reviewed 78 of Arizona’s original charter-school operators, the first to be granted 15-year contracts to create privately run public schools funded with state and federal money. State officials are now taking unprecedented steps to weed out the worst of the schools. They put a third of the operators on probation and denied new contracts to four more. Two charter operators did not reapply, and one surrendered its contract. This effort marks a stark difference from the years when politicians and school-choice advocates pushed rapid growth of charter schools above all else, viewing them as game-changing innovations. School-choice supporters believed parents and students would reject badly run charter schools and allow only the best to remain open. That reliance on the marketplace for regulation is fading, even among the strongest advocates. Perhaps this potential beginning of the end of the love affair between the 1% and charter schools is behind the increasing push for privatized school turnarounds. The shell game continues. Posted in Uncategorized | Comments Off on Trouble in Arizona’s charter school paradise?